Cooper added that Swarm is a "cross-platform strategy that's designed to light up our entire network in a big, coordinated post." He didn't mention pricing for the ad unit during his address, although it's safe to say it will cost a premium compared to other BuzzFeed buys. NBCUniversal was the first to test the ad format to promote the movie Sisters, which stars Tina Fey and Amy Poehler. One week before the flick was released in December, the film studio ran ads across all of BuzzFeed's social and Web properties, resulting in BuzzFeed content making up three of the movie's top 10 pieces of content on Facebook that were tagged with the film's hashtag. "We're going to open this up for other clients because we think this is a unique proposition for advertisers," Cooper said. In terms of advertisers that the ad format is best suited for, he said that "it's when you want to launch something [and] when you want to create mass awareness—an event." BuzzFeed's pitch does come with a twist, though. Because of its publishing approach, traffic to its website makes up a small portion of its overall audience that's overwhelmingly moving to social platforms, making it difficult for brands to know how many people see their ads. 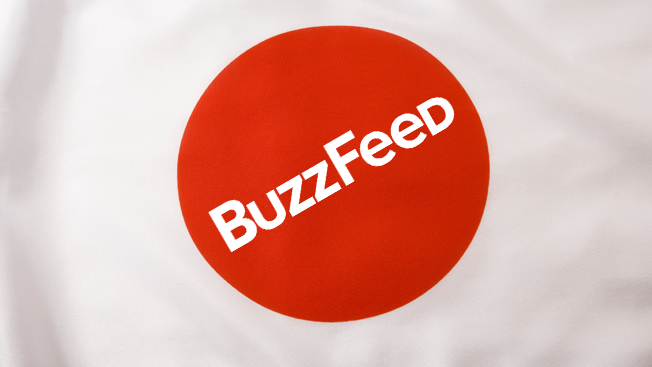 Out of its six billion monthly content views, Cooper said that comScore measures roughly one-fifth of BuzzFeed's overall traffic. "We're addressing that limitation by layering on top other forms of third-party measurement that allow our advertisers to see what they're doing on each of the platforms," the CMO said. "But, it is the toughest thing that we're facing—and that any company is facing in the space that's creating social content and distributing it across platforms is facing."